Hiring Moving Service helps you to relax while all of the essential removal services in Harlington are taken care of. We understand how tough it can be to handle all of the various intangibles of a move yourself, so we supply a professional option for those who want everything to be perfect. If you’re tired of the stress and the hassle of moving into a new property, then letting our team help you out is a huge benefit. By taking the step of hiring in our house removals experts to assist you, you bring on board a removal company with a great understanding and real insight into the industry. There has never been an easier way of taking on the challenges presented by a move! We are the professionals that are always on hand to help you. Call 020 8746 4402 now to find out more. As part of the London borough of Hillingdon, this area is in the far west of London, very close to Heathrow airport, one of the world’s busiest transport hubs. As well as being close to the airport, it is known for possessing a number of old churches, pubs, and businesses. It is part of the London Assembly under the banner of Ealing and Hillingdon and shares a great deal of history with the better known area nearby called Hayes. Until the 1960s, the area was technically a part of Middlesex, but the expansion of the capital city brought it within the city limits. In addition to the sights and tourist attractions in the actual area, the nearby locales of West Drayton, Cranford, Sipson, Stanwell, Bedfont and Hatton mean there is much to do and to see in the surrounding land. To get around, buses and stations connect it to the wider city network. When considering professional removal services in UB3 region, many people don’t realise the breadth of our understanding. We cover everything. Because we have such a fantastic understanding of the industry and the challenges our customers face, we have a range of moving services designed to deal with every single possibility. With this in mind, all you need to do is ring us up and you get a great way of combating everything from the packing to the choice of moving van. If you have ever worried about home or office removals, then calling up a professional company and having them handle everything ensures you can free up time in your schedule. Hiring us will allow you to take it easy while the experts handle all of the little details. By hiring Moving Service, not only are you hiring the best option for removals in Harlington, but you are getting help from a company who is committed to saving you money. 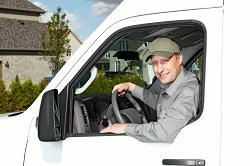 Unlike all of the other options for professional moving assistance, we know that customers love to get a great deal on the help they hire. That’s why we use our knowledge to tailor make each and every selection of removal services in UB3 region and nearby to suit the exact needs of every customer. Because of this, you never need to worry about overpaying. Instead, you get a cost effective, great value solution for moving into a new property. From help with the home to assistance with the office, we bring the best help to every customer who needs it. Just call 020 8746 4402 and get a free quote right now.